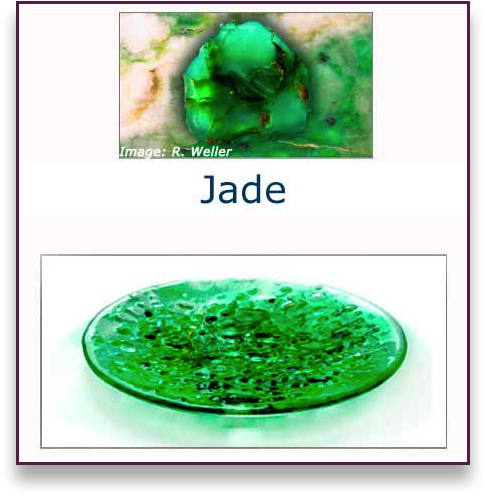 Gemstones, Birthstones, Zodiac & Anniversary stones, as art and Glass Art. 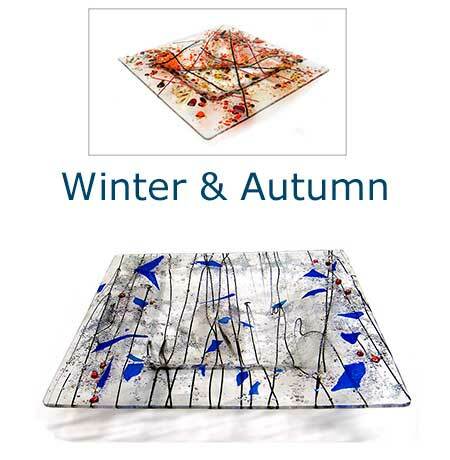 Sizes: 300mm to 400mm - Larger by commission. 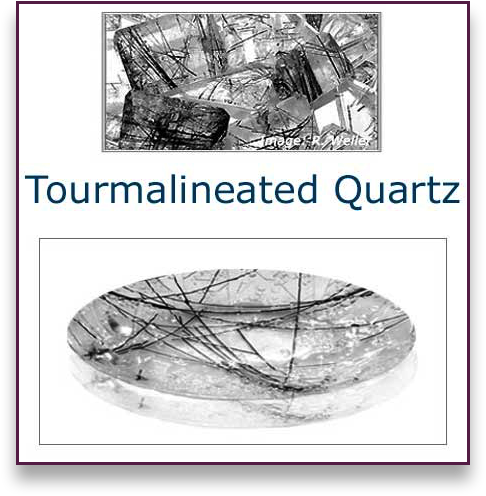 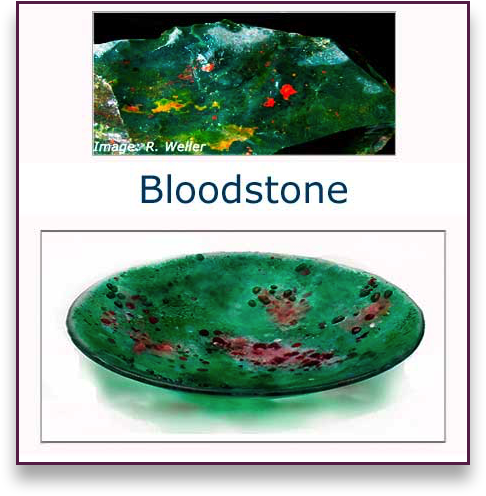 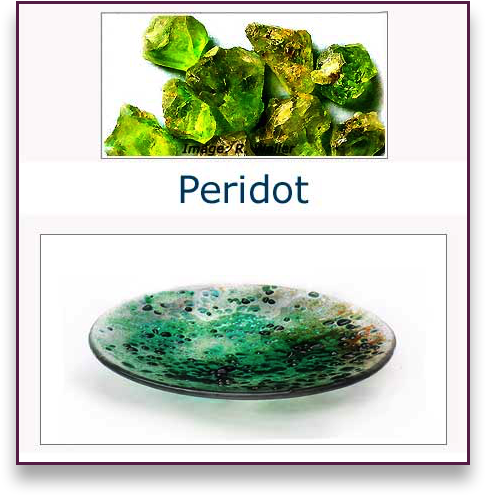 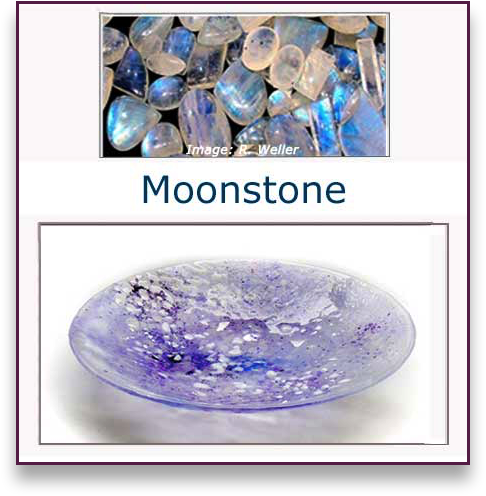 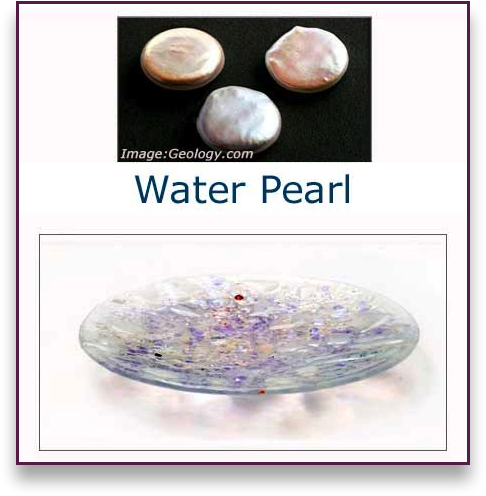 Gemstone & Birthstone images can be made either as a Glass Art Bowl or Wall-hung Panel. 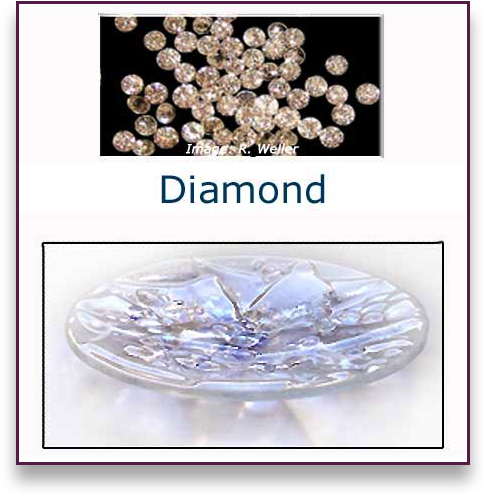 Each new version of an image will differ slightly from the original, as no two firings are exactly the same. 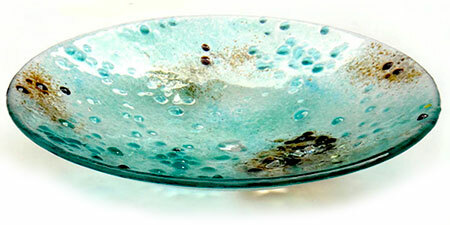 Bowl fired in layers with raised glass pebbles & reflective, colour changing dichroic glass highlights. 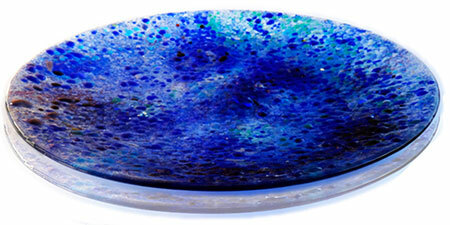 with colour changing dichroic glass. 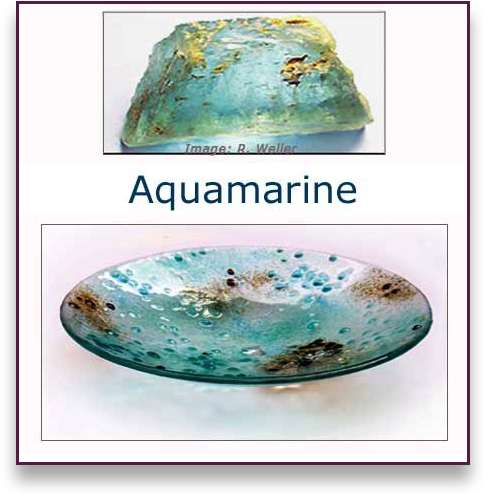 Aqua and bronze reflective frits with colour changing dichroic glass. 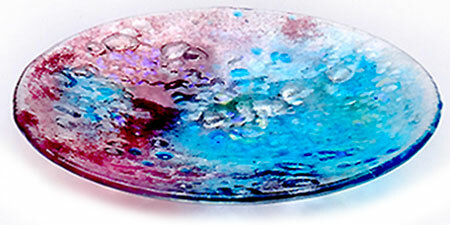 & colour changing dichroic glass. 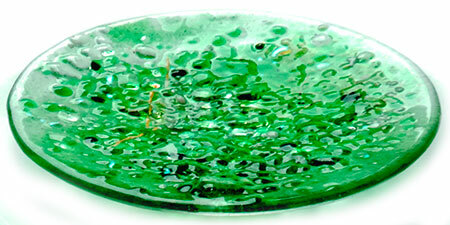 Shades of green glass with spots of red & colour changing dichroic glass. 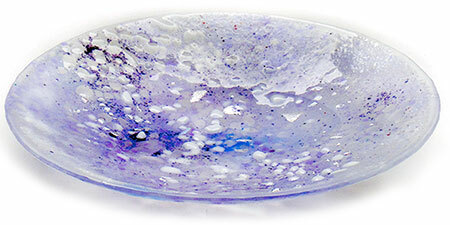 Bowl made to look like one of the many colours and patterns of the gemstone Ocean Jasper. 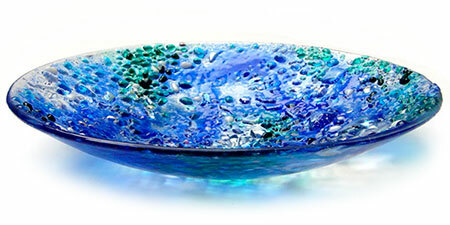 The bowl is tactile with reflective highlights of dichroic glass. 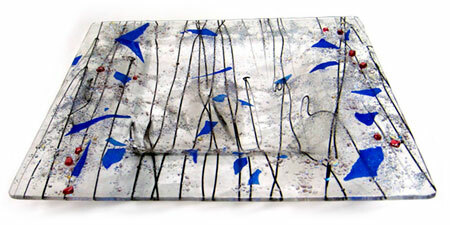 Fired layers of reflective glass slivers, interlaced with colour changing dichroic glass. 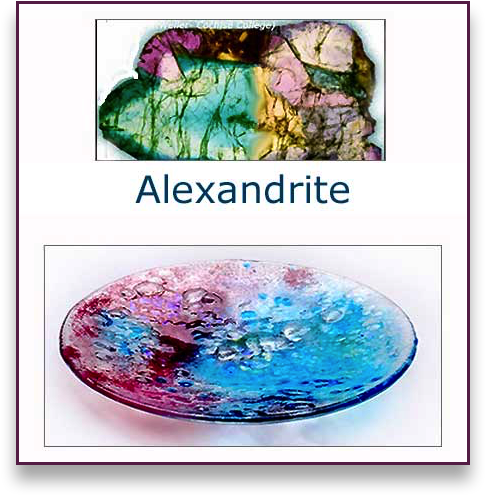 Clear glass culets, black rods (representing tourmaline) and colour changing dichroic glass. 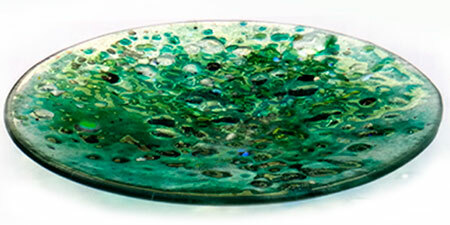 Green and bronze glass coloured frits and colour changing dichroic glass. 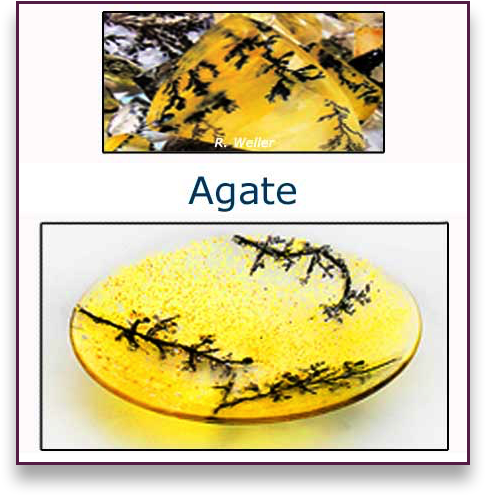 Yellow glass crystals with black glass powder veins & colour changing dichroic glass. 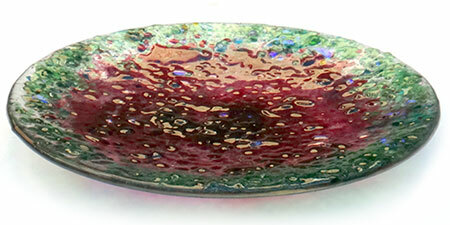 and colour changing dichroic glass. 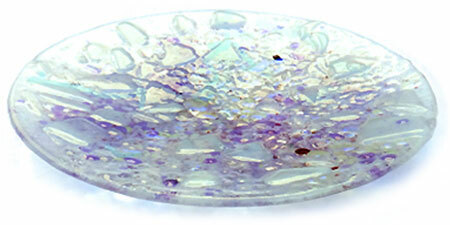 Milky, water spotted glass, with pearl glass highlights and colour changing dichroic glass. 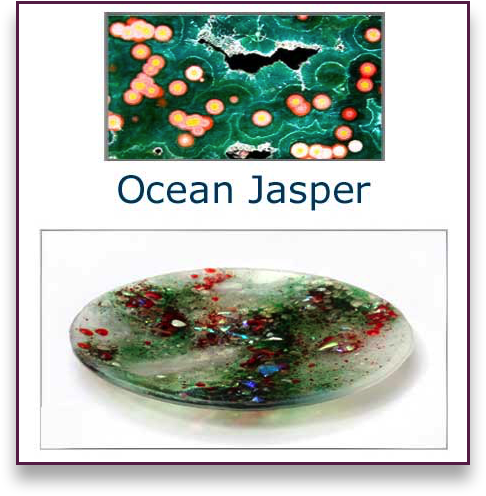 Opaque and transparent glass frits and colour changing, reflective dichroic glass. 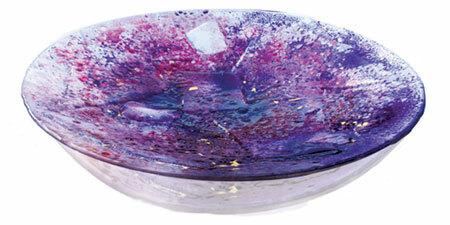 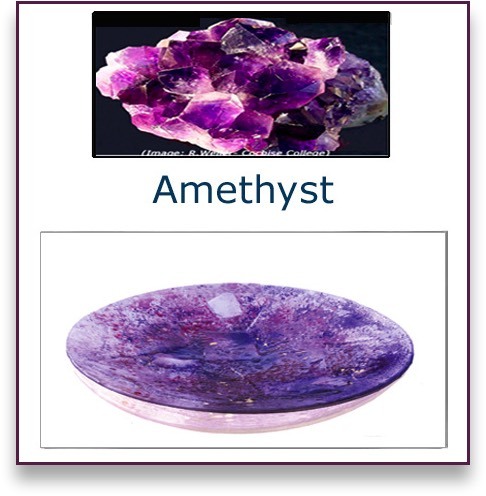 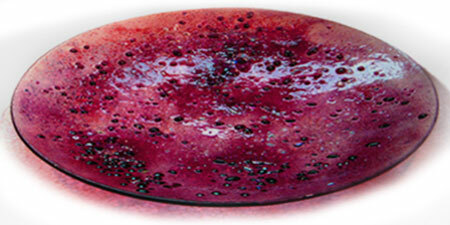 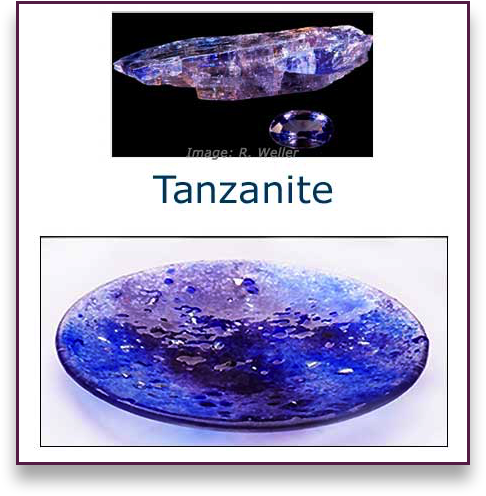 Bowl reflects the colour changing image of an Alexandrite stone. 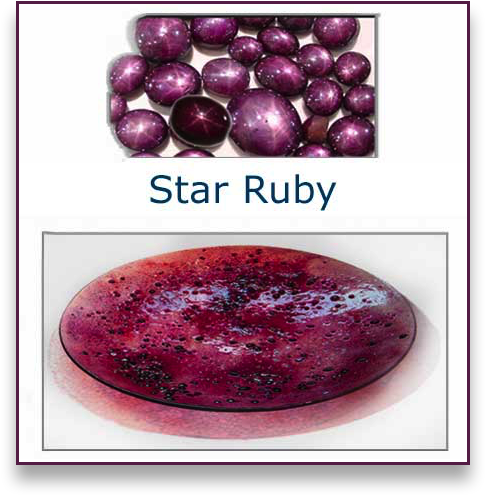 Ruby glass colours & reflective dichroic star-like highlights. 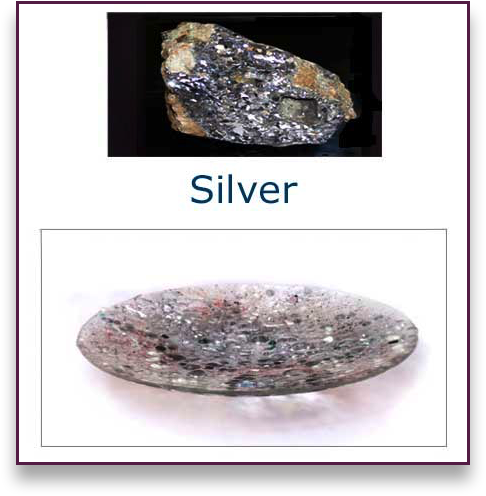 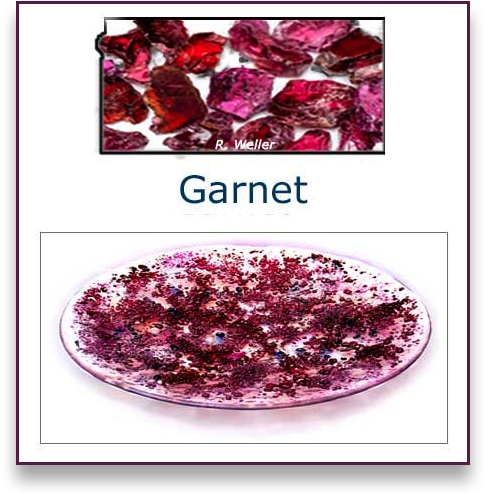 (Gemstone: The stars are refractions of rutile that formed inside the ruby). 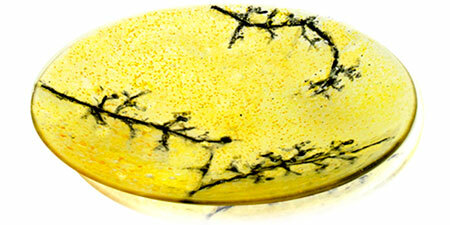 Bowl made of shades of green glass with yellow veins and reflective dichroic glass. 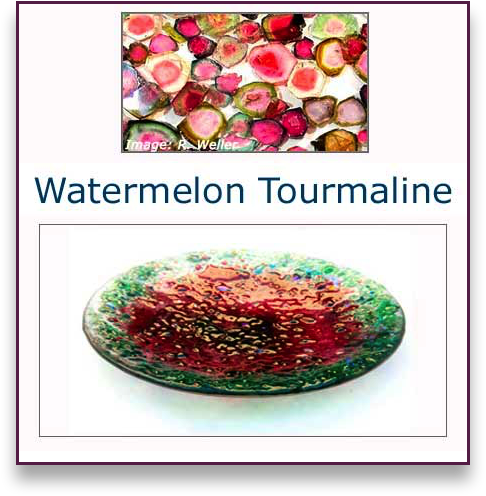 (Also available as Wall-Hung Glass). 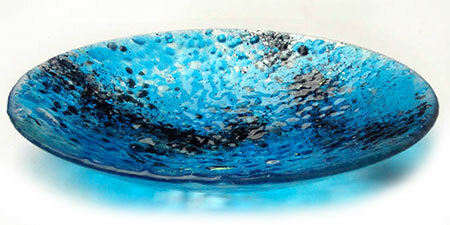 Made of many different shades of blue glass frits with highlights of silver colour changing dichroic glass. 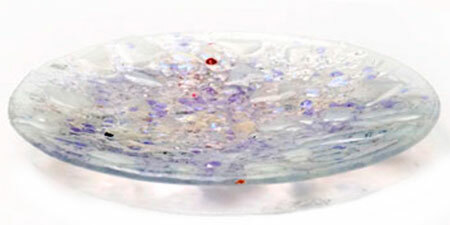 Version 1: Milky white glass with coloured frits and colour changing dichroic glass. 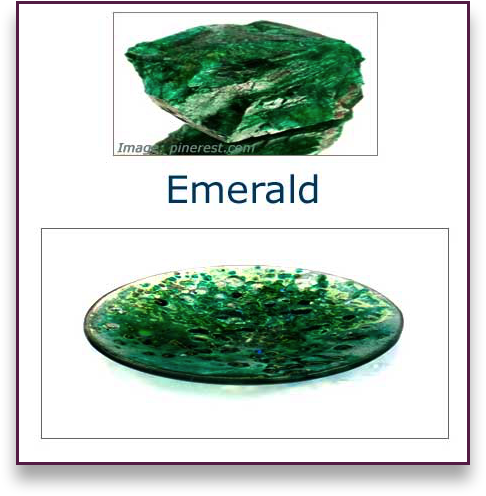 greens and reflective dichroic glass. 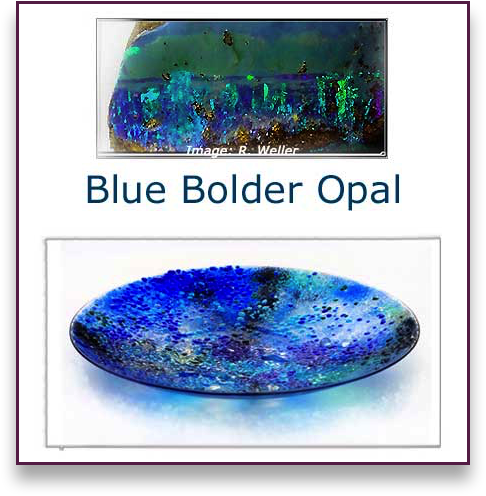 Version 2: Blue Boulder Opal made with many shades of blues, greens and reflective dichroic glass. 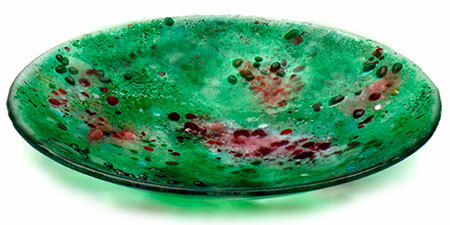 Tactile and reflective green and burgundy glass. 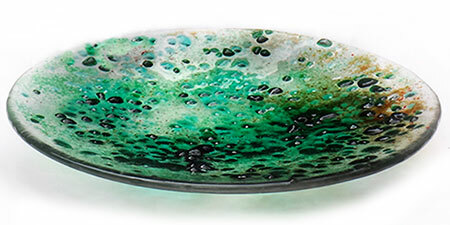 Bowl with bright reflective glass colours, bronze shadows and dichroic glass. 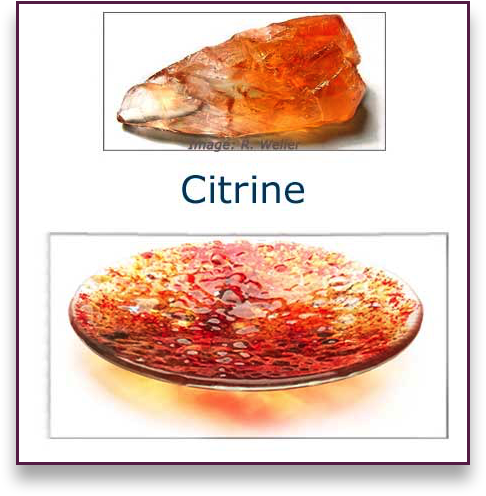 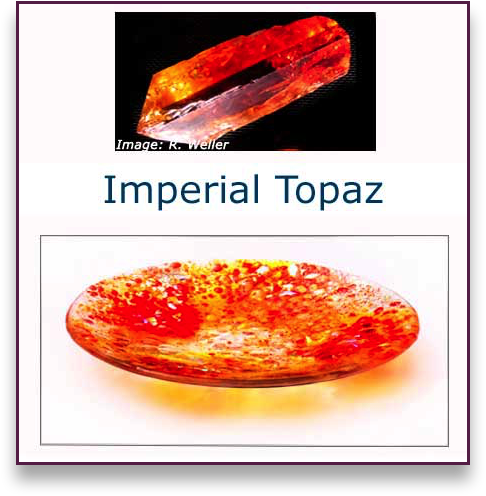 (Gemstone: There are many different colours of topaz). 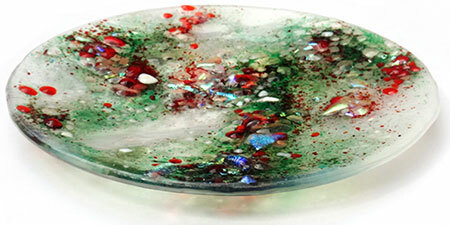 with colour changing rainbow dichroic glass. 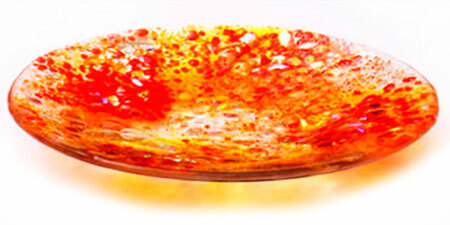 Bright orange, pale yellow & bronze glass, with colour changing rainbow dichroic glass. 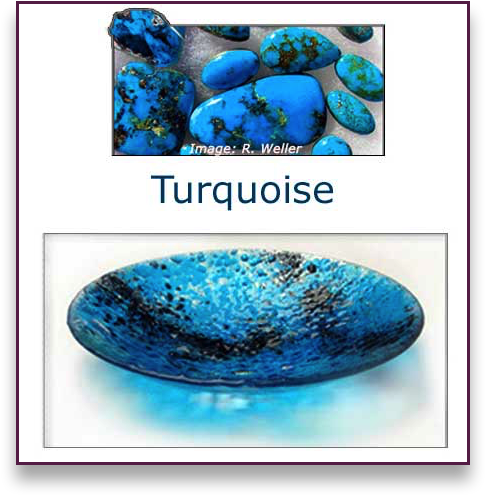 Turquoise glass with raised black veins, glass culet pebbles and silver dichroic glass. 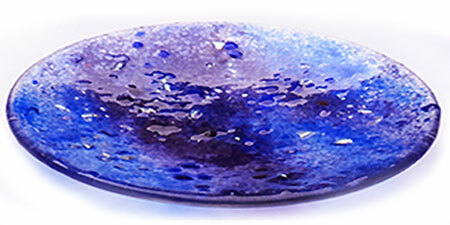 Blue with purple highlights and silver, colour changing dichroic glass. 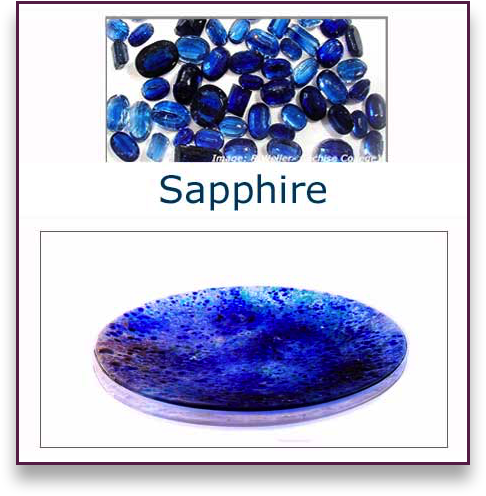 & silver colour changing dichroic glass nuggets. 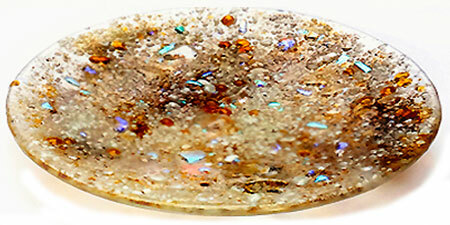 Pale colour cream & amber glass frits (resembles the soil) & silver colour changing dichroic glass nuggets. 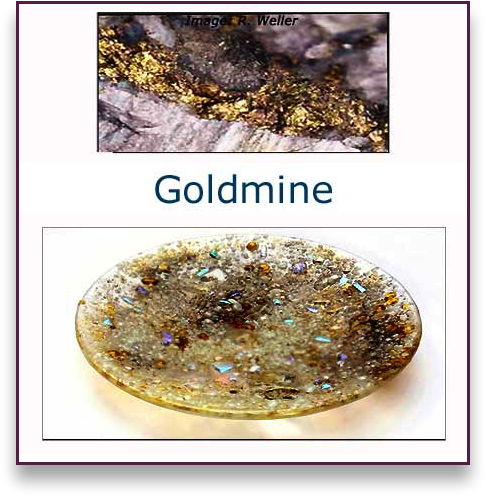 and Gold, colour changing dichroic glass. 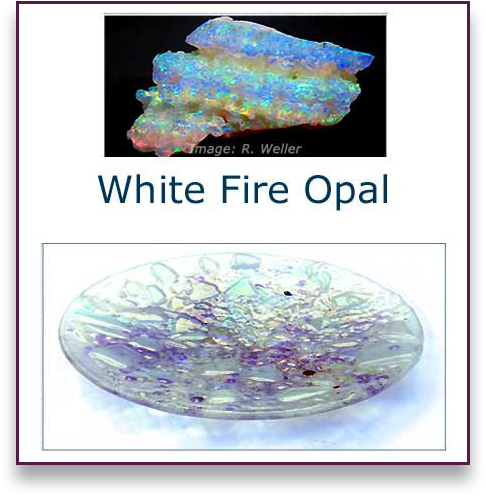 Pale colour white & bronze glass (resembles the soil) and Gold, colour changing dichroic glass. 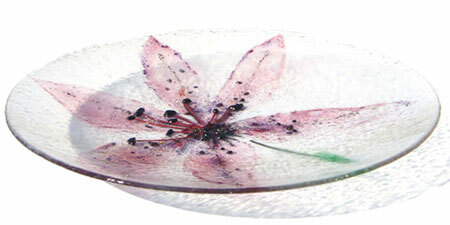 Star Lily is one of many different flowers bowls I have made. 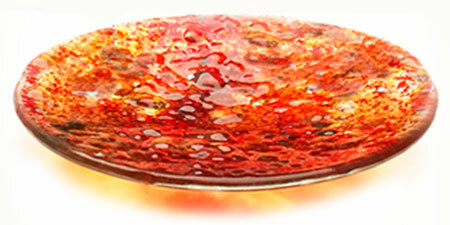 The centre has raised, tactile glass stamens & colour changing dichroic glass highlights. 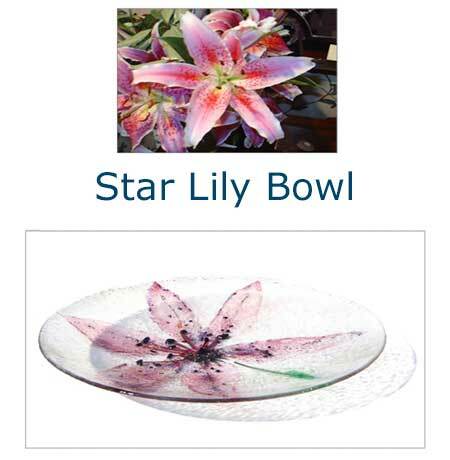 Star Lily is one of many different flowers bowls I have made. 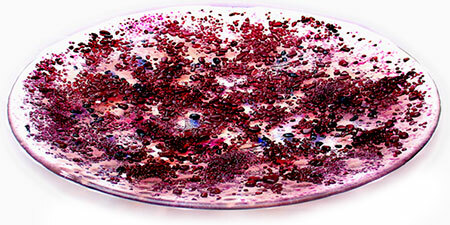 The centre has raised, tactile glass stamens & colour changing dichroic glass highlights. 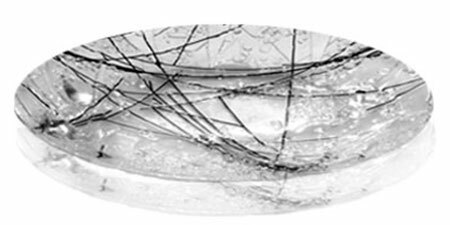 DNA inspired bowl - Clear glass centre with raised tactile edges, made from coloured glass rods and frits. 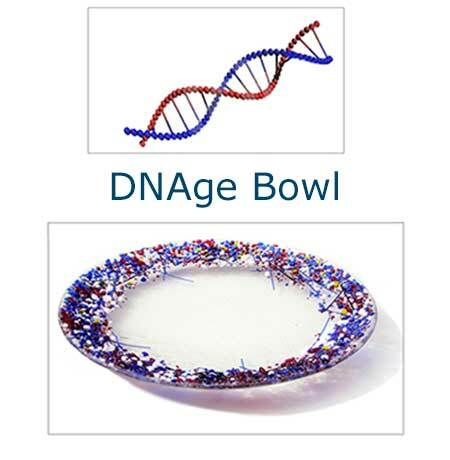 Commissioned as a corporate gift, from a company that uses DNA as its logo. 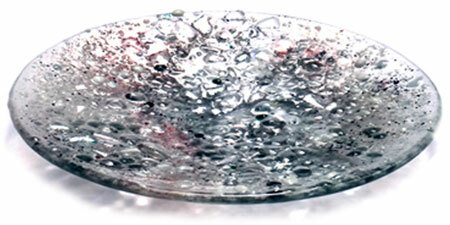 Made from glass powders, frits & silver reflective dichroic glass. 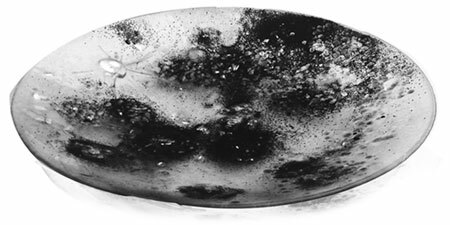 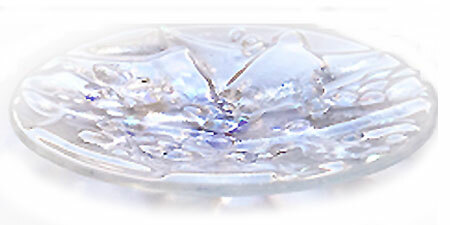 Glass Art Bowl is a design inspired by a photographic image of the moon, taken by the clients spouse. 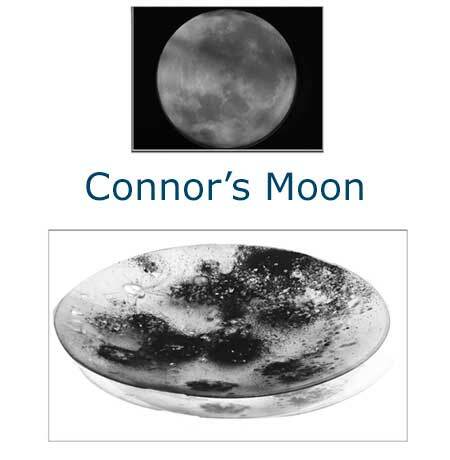 The family came to the studio to see it before it was fired, & Connor their child helped put some of the dichroic glass on its surface: thus its name 'Connor's Moon’. 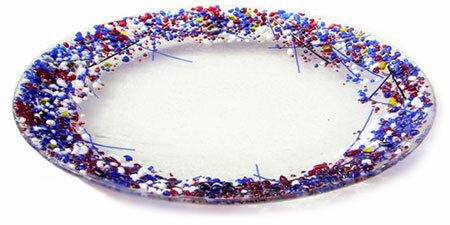 Made from glass frits, rods, confetti glass and colour changing dichroic glass.